Action of the week is intended to provide you, our supporters and network, with one concrete action that you can take each week to have your voice heard on governmental actions that are harmful to the environment and public and worker health, increase overall pesticide use, or undermine the advancement of organic, sustainable, and regenerative practices and policies. As an example, topics may include toxic chemical use, pollinator protection, organic agriculture and land use, global climate change, and regulatory or enforcement violations. The ingredients not listed on a pesticide product are not fully reviewed for their adverse effects may be the most toxic chemicals in the formulation. Recent research, Toxicity of formulants and heavy metals in glyphosate-based herbicides and other pesticides (Toxicology Reports 5, 2018), by Defarge, de Vendômois, and Séralini demonstrates the need to disclose and test all ingredients in pesticide products, as well as the full formulation that includes “inert” or nondisclosed ingredients. While glyphosate/Roundup is obviously not allowed to be used in organic production, this research reaffirms the need to evaluate full formulations of substances allowed for use in organic. The research on glyphosate tested the toxicity of the herbicide glyphosate, “inerts” in glyphosate-based herbicides (GBH), and the pesticide formulations–looking at toxicity to target organisms, toxicity to human cells, and endocrine-disrupting activity. In addition to the GBH products, the researchers studied a number of other pesticides. “Inert” ingredients are allowed in pesticides used in organic production as well as those used in chemical-intensive production. The National Organic Program (NOP) allows “inerts,” permitted in conventional production and formerly listed on EPA's List 4, “inerts of minimal concern,” as well as a few formerly listed on List 3, “inerts of unknown toxicity,” to be used in organic production. Because the standards of the Organic Foods Production Act (OFPA) are much more restrictive than those used by the U.S. Environmental Protection Agency (EPA) to regulate pesticides, and given changes in how the agency categorizes “inerts,” the National Organic Standards Board (NOSB) has adopted a series of recommendations since 2010 that established a substance review process as part of the five-year cycle of sunset review. The NOSB has voted overwhelmingly to require review of all individual “inerts” used in organic production, but NOP has refused to move forward. >> Tell USDA All Ingredients Used in Organic Must Be Reviewed. The researchers also identified a number of other toxic substances in the products, including arsenic, chromium, cobalt, nickel, and lead. Arsenic was present in almost all samples. This research calls into question the fundamental principles embodied in federal pesticide law, the Federal Insecticide, Fungicide, and Rodenticide Act (FIFRA), which distinguishes “active” ingredients, those ingredients in pesticide products for which pesticidal activity is claimed, from “inert” ingredients, now labeled “other ingredients.” “Inert” ingredients receive minimal review (to establish tolerances), compared to “active” ingredients, and are protected from disclosure on the product label as proprietary manufacturer information. It reinforces why the NOSB and NOP cannot rely on the standards that govern the use or allowance of pesticides under pesticide law. This research also challenges the apparent assumption by NOP that “inert” ingredients are less important to review than “active” ingredients. The “active” ingredients in pesticide products used in organic production receive intense scrutiny before the NOSB allows their use. However, “inert” ingredients –which, as the Defarge et al. study demonstrates, may actually be the active ingredients— have not received any scrutiny by the NOSB for compliance with OFPA criteria. NOP must act on the NOSB recommendations that “inert” ingredients used in organic production be reviewed by the NOSB according to OFPA criteria by putting review of these materials on the NOSB work agenda.>> Tell USDA All Ingredients Used in Organic Must Be Reviewed. (Beyond Pesticides, December 10, 2018) The Senate Agriculture Committee has cleared the way for the whole U.S. Senate to vote on the confirmation of Scott Hutchins, PhD, recently retired from research and management at what is now the agricultural division of DowDuPont, as chief scientist at the U.S. Department of Agriculture (USDA). If confirmed, he will become the third member of Dow’s pesticide and seed division to hold a high-level position in the Trump administration’s USDA. Tell your U.S. Senators to Reject Dow’s Hutchins as USDA Chief Scientist. Dr. Hutchins has a history of defending toxic pesticides like Dow’s chlorpyrifos, which makes him unsuitable for leading USDA’s research on the future of the U.S. food system. The chief scientist at USDA can determine the direction of USDA research–which should be shaped by an organic, rather than a chemical-intensive, vision. USDA needs a chief scientist who will help farmers get off the pesticide treadmill and adopt organic practices that address critical issues of protecting farmer and farmworker health, water resources, biodiversity, and soil health, while reducing the escalating crisis in global climate change. USDA’s research mission must be focused on sustainability and protect farmers, families, and the environment. Since 1987, Dr. Hutchins has worked in addressing problems with chemical solutions at Dow AgroSciences’ pesticide and seed division, renamed Corteva Agriscience last year when it was spun off from the newly-merged DowDuPont, where Hutchins held the position of Corteva’s global leader of integrated field sciences, after serving as Dow AgroSciences’ global director for crop protection R&D. I am writing to urge you to reject the nomination of Scott Hutchins, PhD as USDA Chief Scientist. If confirmed, he will become the third member of Dow Chemical’s pesticide and seed division to hold a high-level position in the Trump administration’s USDA. Dr. Hutchins has a history of defending toxic pesticides like Dow’s chlorpyrifos, which makes him unsuitable for leading USDA’s research on the future of the U.S. food system. Since 1987, Hutchins has worked in addressing problems with chemical solutions at Dow AgroSciences’ pesticide and seed division, renamed Corteva Agriscience last year when it was spun off from the newly-merged DowDuPont, where Hutchins holds the position of Corteva’s global leader of integrated field sciences, after serving as Dow AgroSciences’ global director for crop protection R&D. The chief scientist at USDA can determine the direction of USDA research–which should be shaped by an organic, rather than a chemical-intensive vision. The USDA needs a chief scientist who will help farmers get off the pesticide treadmill and adopt organic practices that address critical issues of protecting farmer and farmworker health, water resources, biodiversity, and soil health, while reducing the escalating crisis in global climate change. USDA’s research mission must be focused on sustainability and protect farmers, families, and the environment. In August 2018, the Trump administration announced a reversal of a 2014 U.S. Fish and Wildlife (FWS) decision to ban neonicotinoid insecticides on National Wildlife Refuges. The administration’s action threatens not only pollinators, but contributes to the attack on biodiversity worldwide. In 2014, FWS announced that all National Wildlife Refuges would join in the phase-out of neonics (while also phasing out genetically engineered crops) by January 2016. FWS “determined that prophylactic use, such as a seed treatment, of the neonicotinoid pesticides that can distribute systemically in a plant and can potentially affect a broad spectrum of non-target species is not consistent with Service policy. We make this decision based on a precautionary approach to our wildlife management practices and not on agricultural practices.” This move was not only intended to protect honey bees that have suffered average losses above 30% since 2006, but also the federally threatened and endangered pollinators that live in National Wildlife Refuges. Insects play important roles in food webs –most song birds, for example, depend on insects during the breeding season, at least. Insects are important decomposers –Australia had to import dung beetles to handle the waste problem caused by the importation of cattle. They contribute to the health of soils. The loss of insect abundance poses cascading effects at all ecosystem levels. Neonicotinoids also pose a direct threat to non-insect wildlife, including birds. Birds and other wildlife are mobile, moving in and out of crop fields without regard for pesticide treatments. Birds, in particular, absorb pesticide sprays and vapors through respiration, as well as orally in food and preening and dermally by walking in sprayed fields. It is more important than ever to ban neonicotinoids in National Wildlife Refuges, which should be refuges from toxic chemical use. >> Tell Congress to protect biodiversity by insisting that the ban on neonicotinoid pesticides in wildlife refuges be reinstated. 11/26/2018 — Tell the National Organic Program to Outlaw Fracking Wastewater in Organic Production! Organic consumers expect that the organic products they buy are grown without toxic chemical inputs. However, oil and gas wastewater (including fracking wastewater) is currently used to irrigate crops. Among the chemicals known to be present in oil and gas wastewater are heavy metals and other chemicals with carcinogenic, reproductive, developmental, endocrine-disrupting, and other toxic effects. When the Organic Foods Production Act (OFPA) was passed, and regulations adopted, there was no agricultural use of oil and gas wastewater, so the regulations did not address these hazards. The Cornucopia Institute has filed a petition for rulemaking, asking that oil and gas wastewater be ruled a prohibited substance in organic production. This issue should be put on the work agenda of the National Organic Standards Board (NOSB), which advises the Secretary about issues concerning NOP. The petition from the Cornucopia Institute contains information that will serve as support for the work agenda item. Over the past several years, the NOSB has received many comments requesting them to address this issue. Among the comments have been suggestions for guidance to farmers faced with contamination from oil and gas activities. The NOSB must play an important role in ensuring that farmers are not unnecessarily harmed by the proposed rulemaking. Although the exact blend of chemicals in oil and gas wastewater is considered “proprietary,” making it difficult to test food for residues, much is known about individual chemicals that may be present, including benzene, toluene, ethylbenzene, and xylenes; polynuclear aromatic hydrocarbons (PAHs); volatile organic compounds (VOCs); radionuclides; heavy metals; and elevated levels of chloride and bromide. Although toxic effects of many of these chemicals are known, their combined and cumulative effects have not been determined. Water treatment does not always remove all of the toxic chemicals, and the safety of treated water cannot be determined because it is not possible to determine all chemicals that might be present. OFPA and its regulations give USDA, with advice from the NOSB, the responsibility to ensure the integrity of the organic label. Many of the substances known to be in oil and gas wastewater are prohibited for use in organic production. OFPA prohibits “natural poisons such as arsenic or lead salts that have long-term effects and persist in the environment.” Regulations require that producers “maintain or improve the natural resources of the operation, including soil and water quality.” USDA must ensure that this relatively new source of contamination does not endanger organic integrity. Tell USDA to Outlaw Fracking Wastewater in Organic Production! The Organic Foods Production Act (OFPA) requires organic milk and dairy products labeled as organic to come from dairy cows continuously managed as organic from the last third of gestation. Because of the short supply of organic dairy breeder stock when the law was passed in 1990, a one-time conversion of conventional dairy cows to organic was allowed, as long as they are managed organically. Please urge the Secretary of Agriculture to issue a final rule for Origin of Organic Livestock, as urged by the NOSB. Unfortunately, the National Organic Program (NOP) allowed two interpretations of this provision, turning the provision into a loophole that has allowed some large dairy operations to circumvent the last third of gestation requirement altogether, and bringing conventionally managed animals into their operations on a continuous basis. It has come to the attention of the National Organic Standards Board (NOSB) that the continued state of varying interpretations and practices around the Origin of Livestock standards is creating market instability for organic producers. The 2015 USDA Origin of Livestock Proposed Rule was based on six recommendations from the NOSB between 1994 and 2006. The proposed rule responds to findings from the July 2013 USDA Office of Inspector General (OIG) audit report on organic milk operations stating that certifying agents were interpreting the origin of livestock requirements differently. Rulemaking is necessary to ensure consistent interpretation and enforcement of the standards for origin of livestock and provide industry with additional clarity of application of the organic dairy standards. In early 2017 the Origin of Livestock Proposed Rule was removed from the Unified Agenda of Regulatory and Deregulatory Actions. Support for this rule has been expressed through public comment by the majority of organic stakeholders. 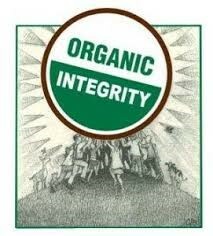 Strong federal oversight is essential for creating a fair and level playing field for all certified organic operations. Therefore, be it resolved by unanimous vote, the National Organic Standards Board—as USDA’s Federal Advisory Board on organic issues and representing organic farmers, ranchers, processors, retailers and consumers—urges the Secretary to directly issue a final rule for Origin of Livestock that incorporates public comments submitted in response to the Proposed Rule (Docket Number AMS-NOP-11-0009). 11/14/2018 — Help Beyond Pesticides Eliminate Toxic Pesticides and Grow Organic Solutions! We are living in extraordinary times that call for bold action. We face serious public health and environmental challenges and know that we must work to advance local, state, and federal action. Our program relies on your support, which elevates independent science to call for action. While the November 6 election results offer some important opportunities in our communities, state, and nation, we continue to face the power of the pro-pesticide lobby and those seeking to weaken the integrity of organic standards in the Farm Bill. Please consider a donation to Beyond Pesticides because your support is critical to the ongoing challenges, as we leverage the opportunities. Check out our 2017 annual report, which captures the importance of our program in supporting the adoption of policies and practices at a time when the U.S. Environmental Protection Agency is curtailing its program, reversing previous decisions to restrict pesticide use, and ignoring scientific findings. Protect the local right to restrict pesticides and advance organic land management policies. We are fighting to preserve the right of local governments to restrict pesticides against a chemical industry lobby attack in the 2018 Farm Bill. This is an attack on the democratic process and the authority of states. At the same time, we are fighting to stop state governments from preempting local authority to restrict pesticides on all land in the community, stopping chemical drift and run-off, and the contamination of waterways and the local ecosystem. Collaborating closely with local groups in almost every state, we are challenging the use of pesticides like glyphosate (Roundup) –a probable carcinogen, killer of bees, and destroyer of soil organisms and our gut microbiome. Protect the integrity of organic standards and the USDA organic label. We are fighting to protect the integrity of the organic standard setting process against another attack in the Farm Bill. By changing the review process, a provision will open the floodgates to allowed synthetic chemicals in organic production, handling, and processing. We have built an important law in the Organic Foods Production Act, which incorporates values and principles that build and regenerate soil, protect pollinators and biodiversity, eliminate toxic pesticide use, and contains a default provision that strictly limits synthetic chemicals in certified organic products. This will all change with the Farm bill amendment. Our work is based on the belief that an active and informed citizenry and community-based organizations sharing information and strategies will drive decisions that protect health and the environment. Your support enables us to inspire action and provide people with the tools to carry out effective advocacy. We advance public consideration of independent science. We bring independent science to advocacy. Your support enables us to track the latest independent science, making sure it is accessible and understandable in the decision making context, maintained in databases that ensure that it is widely available and can be easily used in campaigns. We seek the adoption of policy. We believe that we must institutionalize changes in practices through precautionary policies that are responsive to new information and scientific understanding. Your support enables us to advance policies that ensure the adoption of management practices in sync with nature will enable human survival as a part of healthy ecosystems. We put in place practices that eliminate toxic pesticide use. The adoption of practices that implement the solution to or prevent a problem is critical to our strategic vision. Your support enables us to bring the resources to communities that put organic programs in place. Our focus is on solving problems. Our focus is federal. When standards of health and environmental protection are under attack by the very institutions established to prevent harm, the public’s voice must be heard. Our focus is state. When the federal government is out-of-step with actions necessary to protect health and the environment, state and local action is more critical than ever. Our focus is community. When state governments ignore the local health threats to children, pets, pollinators, wildlife, and local waterways, local action is even more important. Our focus is school. When schools use hazardous pesticides on their playing fields and in their buildings, action by administrators, teachers, and parents is the key to change. Our focus is home. When the marketplace sells toxic products, services, and food that are harmful to families and the environment, individual action to source and demand safer products is required. Our focus is organic and regenerative. The solution requires the use of production and management practices and products that are healthful and compatible with the ecosystem, where exposure to toxic chemicals does not poison workers and consumers and destroy life. Our work identifies environmental and public health problems that threaten life. We see the solutions within our grasp, from the protection of land, air, and water, to a slowing of global climate change. With your support, we provide the hands-on support to make change happen. Please consider supporting Beyond Pesticides today, by clicking on this link. We will get pesticides out of our communities and food production with your support! As you know, the stakes in this midterm election are high. Many races are too close to call and will be decided by voter turnout. As we have read, our vote will make a difference! The stakes are high. People and the environment are being poisoned. Pollinators are disappearing. Waterways are being contaminated. Biodiversity is threatened. Children –especially farmworker children—are suffering brain damage, and pesticide exposure is linked to the increase in ADHD and autism. Pesticide exposure is implicated in cancer, Parkinson’s disease, reproductive dysfunction, diabetes, learning disabilities, and more. We need people in elected positions — from local officials to national offices — who will listen to constituents who know the need for protection from pesticides and understand the urgent need to adopt of organic practices. Learn about your candidates and vote! What more we can do. Take someone with you to the polls. Offer assistance to your neighbors who need help getting to the polls. Offer to watch children of those who need childcare. If you want to do even more, contact candidates to see how you can help with canvassing or phone banking. Make a difference with your vote! VOTE LIKE YOUR HEALTH AND THE ENVIRONMENT DEPEND ON IT! Protect the integrity of the organic standard setting process that determines whether a synthetic substance will be allowed in food labeled organic. Help stop an attack on the meaning of the organic label in the Farm Bill, which may be voted out of conference committee by the end of November. By changing the substance review process, a provision will open the floodgates to allowed synthetic chemicals in organic production, handling, and processing under the Organic Foods Production Act (OFPA). OFPA incorporates values and principles that build and regenerate soil, protect pollinators and biodiversity, eliminate toxic pesticide use, and contains a default provision that strictly limits synthetic chemicals in certified organic products. This will all change with the Farm bill amendment. OFPA incorporates language that ensures that the process for allowing synthetic chemicals in organic production, handling, and processing is very rigorous. This meets a public expectation that food labeled organic is subject to a higher degree of scrutiny than food produced by chemical-intensive agriculture. This distinguishes food labeled under OFPA from food produced with pesticides registered under the pesticide law, the Federal Insecticide, Fungicide, and Rodenticide Act (FIFRA). If synthetic materials are allowed in organic production, they, by law, are subject to a no adverse effects standard, a cradle-to-grave analysis, a determination of essentiality (necessity) of the material, and a sunset clause that subjects allowed synthetics to a rigorous reevaluation every five years. This time-limited sunset contains a default assumption that continued allowance of the synthetic substance will not be permitted unless the National Organic Standards Board (NOSB) votes decisively to recommend its continued allowance to the Secretary of Agriculture. OFPA implements a belief that organic growers will continue to adopt methods not dependent on outside inputs –that there would be continuous improvement. At the same time, the NOSB’s deliberations on the allowance of a synthetic substance is informed by new science as it emerges and is reviewed in Technical Review documents prepared for the NOSB. By design, this process contrasts dramatically with the allowance of pesticides under FIFRA, where once a decision is made to allow a chemical, it is extremely difficult or virtually impossible to reverse that decision without serious political or public pressure –typically as a result of a crisis or litigation. The continued allowance of a synthetic chemical under organic law is subject to the same rigorous review that was conducted when the substance was first permitted on the National List, which requires that two-thirds of the board must vote to list. As intended by Congress, this review process repeats at the end of a five-year cycle, when the board again must vote by two-thirds to relist the synthetic chemical, under current statutory language. A Change in NOSB Process will Weaken Oversight of Synthetic Chemicals in Organic Production. This Senate Farm Bill provision brings uncertainty to the five-year sunset process and undermines a basic tenet of the law. Without this sunset provision, synthetic materials may remain on the National List and attempts to introduce alternative materials and find new creative management practices will be disincentivized. The Senate provision [Section 10104(e) National Organic Standards Board] may seem like it does not do anything (changes in law always do something, whether intended or not): “Any vote on a motion proposing to amend the national list shall be considered to be a decisive vote that requires 2/3 of the votes cast at a meeting of the Board at which a quorum is present to prevail.” A likely interpretation of this provision is that any change to the National List is an amendment to the list (or amends the national list) requiring a 2/3 vote to make a change – whether taking the synthetic off or putting it on the National List. However, OFPA as written has been historically implemented with the default assumption that synthetic materials come off the list after five years unless the board votes decisively (2/3) to keep it on the list. This NOSB process has worked for two decades to help grow the organic sector to a $53 billion industry with public trust in a rigorous review process. With the erosion of this basic tenet of the law under the Senate Bill provision, consumer trust in the USDA organic label is seriously threatened by an inability to remove synthetic materials shown to be hazardous or unnecessary. Ask your U.S. Representative and Senators to tell Farm Bill conferees to reject Section 10104(e) National Organic Standards Board in the Senate Farm Bill (S.3042), a provision that will increase the use of synthetic substances in organic food production. The California Department of Pesticide Regulation (DPR) is accepting comments on its proposal to classify chlorpyrifos as a toxic air pollutant. The classification would require DPR to develop control measures that adequately protect public health. What happens in California affects all of us because products of California agriculture are available all over the country –and the world. In addition, policies set by the state of California are often examples for other states and the federal government. Under the Toxic Air Contaminant Identification and Control Act (AB 1807, Chapter 1047, Statutes of 1983) and its implementing regulations (Title 3, California Code of Regulations, Section 6864), one of the criteria for identifying a pesticide as a TAC is if its concentration in the air exceeds one-tenth of the level that has been determined to be adequately protective of human health. The draft TAC document shows that bystanders can be exposed to modeled air concentrations of chlorpyrifos that exceed one-tenth the protective level, and thus meet the criteria for TAC identification. OEHHA’s findings below serve to reinforce this overall conclusion, and further support the identification of chlorpyrifos as a TAC. In addition to modeled results, OEHHA found that those exposed to chlorpyrifos during 2004-2014 most often reported systemic symptoms including (including headache, nausea and dizziness), eye irritation, and respiratory complaints (breathing difficulties, cough, and throat irritation). Almost 90% of those reporting such symptoms were bystanders. OEHHA points out that many studies link exposure to chlorpyrifos to developmental neurotoxicity at very low rates of exposure, and this has been confirmed by the state’s Proposition 65 Developmental and Reproductive Toxicant Identification Committee. In addition, children may be bystanders exposed to chlorpyrifos who may suffer greater respiratory effects because of their developing lungs. The details of the assessment support OEHHA’s conclusion that chlorpyrifos is a toxic air contaminant requiring control measures that adequately protect human health. Given the range of toxic impacts at low levels of exposure, DPR must cancel the registration of chlorpyrifos. Tell California Department of Pesticide Regulation to ban chlorpyrifos. 10/15/2018 — Tell Kroger to stop selling food grown with toxic pesticides. As a leader in organic sales, it is critical that Kroger take additional expedited steps to increase the market share of organic food and eliminate the use of toxic pesticides harmful to public health and the environment. Kroger is among the major food retailers that sells food that has been grown with toxic pesticides, such as the extremely hazardous insecticide chlorpyrifos which causes neurological and brain damage in children. Kroger should immediately end its misleading and fraudulent advertising and labeling of food products as “natural” and replace these with certified organic products. In fact, by misleading consumers with “natural” labeling and advertising of food, Kroger supports chemical-intensive agriculture that poisons children, causes cancer, and threatens biodiversity through the use of toxic chemicals like chlorpyrifos, glyphosate, and neonicotinoids. This is unnecessary and unacceptable. Chlorpyrifos is a highly neurotoxic organophosphate pesticide that is linked to neurologic developmental disorders in children. Exposure to even low levels of organophosphates like chlorpyrifos during pregnancy impairs learning, changes brain function, and alters thyroid levels of offspring into adulthood. EPA’s own assessment finds that children exposed to high levels of chlorpyrifos have developmental delays, attention problems, attention-deficit/hyperactivity disorder problems, and pervasive developmental disorders, and concluded that there is “sufficient evidence” that there are neurodevelopmental effects at low levels, and that current approaches for evaluating chlorpyrifos’ neurological impact are “not sufficiently health protective.” Yet, EPA reversed the ban based on the judgment of its own scientists and when ordered by the courts to reinstate the ban, appealed. As documented by International Agency for Research on Cancer (IARC) in 2015, glyphosate causes cancer. IARC classifies glyphosate as a Group 2A “probable” carcinogen, which means that the chemical is probably carcinogenic to humans based on sufficient evidence of carcinogenicity in experimental animals. It has been specifically linked to non-Hodgkin Lymphoma (NHL) and multiple myeloma. Glyphosate disrupts a crucial pathway for manufacturing aromatic amino acids in plants and bacteria, and has been patented as an antibiotic. The destruction of bacteria in the human gut is a major contributor to disease, and the destruction of soil microbiota leads to unhealthy agricultural systems with an increasing dependence on agricultural chemicals. Given Kroger’s existing commitment to offering organic food, it is reasonable to ask the company to commit to substituting organic products for those that deceptively portrayed as “natural” and “free from 101+ artificial ingredients and preservatives,” but are grown with and have residues of hazardous pesticides. Tell Kroger to stop selling food grown with toxic pesticides. In two separate moves, EPA placed the head of the Office of Children’s Health Protection on administrative leave and plans to dissolve its Office of the Science Advisor. These moves further degrade the U.S. Environmental Protection Agency’s reliance on scientific input into its decision making process. >> Ask your members of Congress to insist that the head of the Office of Children’s Health Protection and Office of the Science Advisor be reinstated at the highest level. The Office of Children’s Health Protection was created by President Bill Clinton in 1997 to advise EPA on meeting its mandate to protect children from environmental health hazards. Children are generally more vulnerable to toxic chemicals than adults due to their small and developing bodies and because their size and activities result in greater exposures. Focusing on children’s health typically leads to more protective regulatory decisions. Ruth Etzel, M.D., Ph.D., who was placed on non-disciplinary leave, became director of the office in 2015, after serving as a senior officer for environmental health research at the World Health Organization. She is a pediatrician and epidemiologist who has been a leader in children’s environmental health for 30 years. Recently, Dr. Etzel opposed EPA’s plan to allow farmworker children to apply the most toxic (“restricted use”) pesticides. Removing Dr. Etzel from her position overseeing the office is seen by pediatricians and epidemiologists as a step toward eliminating the office and its critical work to protect children’s health. The American Academy of Pediatrics has called for her reinstatement. In another action, EPA plans to eliminate the Office of the Science Advisor, which reports directly to the EPA administrator on science relating to agency regulations. It is vital that EPA Acting Administrator Andrew Wheeler receive the information that is needed to make decisions that affect the lives of children and protect our environment. Ask your members of Congress to insist that the head of the Office of Children’s Health Protection and Office of the Science Advisor be reinstated at the highest level. Last year, pesticide manufacturers tried to undo local pesticide ordinances in a large state-by-state lobbying effort. That failed. Now they are trying to get Congress to undo these local rules in one fell swoop through an amendment in the Farm Bill. In 1991, the U.S. Supreme Court affirmed the right of local governments to restrict pesticides. The chemical industry’s attempt to take away the power of local governments to regulate the use of pesticides was wrong then and it is wrong now –more so, given the current weakening of federal pesticide programs. >> Send a letter to the editor of your local newspaper! The fight to defend the authority of local governments to protect people and the environment has been ongoing for decades. Against a backdrop of decades of pro-pesticide lobbying to limit local authority to restrict pesticide use in our communities and despite industry’s success, there has been nationwide action at the local level. In most states, local authority, under state law, is limited to restrictions on public property, and seven states have affirmed the right of localities to restrict pesticides on all land within its jurisdiction. Because of effective efforts across the state of Maine, the American Legislative Exchange Council (ALEC), an industry-backed group, backed a failed effort over the last two years to take away, or preempt, local authority in the Maine state legislature. Meanwhile, more than 60 local officials from across the country sent a letter to Congress in mid-September opposing a Farm Bill provision that takes away local governments’ authority to restrict hazardous pesticides. The provision will overturn the Supreme Court decision and prevent communities from adopting protective laws that meet the needs of their residents or unique local environment. “Existing federal law regulating pesticide use has long given states and local governments the authority to craft pesticide policy tailored to local needs, and there is no reason for that long-standing policy to change in this Farm Bill,” Senator Angus King (I-ME) told the Bangor Daily News. “I broadly believe in local control and states’ rights, and in this case, I hope that the final Farm Bill will reflect the Senate’s version by not including this provision to restrict state and local government’s ability to enact their own pesticide standards,” he said. This controversy has emerged at the same time that the U.S. Environmental Protection Agency (EPA) has reversed decisions intended to protect public health. Last month, a federal court ordered EPA to ban a widely used pesticide because it ignored findings from its own staff about its dangers to children and farmers. The 9th Circuit Court of Appeals ruled that EPA failed to counteract “scientific evidence that [chlorpyrifos] residue on food causes neurodevelopmental damage to children.” It also faulted the EPA for not following the assessment from agency scientists that the pesticide was harmful. A jury verdict last month awarded a groundskeeper stricken with non Hodgkins lymphoma $289 million in a case that showed harmed caused by Monsanto’s product glyphosate/Roundup. Many communities want to ban Roundup in the face of EPA inaction. For more good reading on this subject, see (i) an op-ed written by two mayors, (ii) an editorial in the Portland Press Herald (ME), and (iii) and editorial in the Bangor Daily News (ME). Letters to the editor can have a major influence on public opinion, especially that of lawmakers representing the community. Most smaller or regional newspapers have a word limit of around 250 words, while larger metropolitan newspapers limit letters to 150 words. Once you enter your zip code below and then click on the newspaper you would like to submit to, a suggested letter to the editor, which you can use and/or alter, will appear. If your newspaper is a smaller paper, you can add talking points to increase the effectiveness of your letter. In a move that critics fear may be a pretext for gutting federal agricultural research, U.S. Secretary of Agriculture Sonny Perdue has proposed overhauling two federal offices overseeing food and agriculture research and moving them out of the Washington, DC area. A plan announced in August to relocate one of the U.S. Department of Agriculture’s (USDA) top research office — the Economic Research Service — into the Office of the Secretary, a political branch of the U.S. Department of Agriculture, is raising alarm from scientists. Concerned researchers see the move as a way to cut funding to important projects on climate change and nutrition, among others, consistent with other Administration moves to reduce input of scientists into public policy. The plan by the Trump administration to overhaul two federal offices overseeing food and agriculture research, the Economic Research Service (ERS) and the National Institute for Food and Agriculture (NIFA), and move them out of Washington by the end of 2019 is being cited by leading agricultural scientists and economists as a ploy to stifle important federal research. The Trump administration has targeted ERS for severe funding cuts and says streamlining USDA’s operations would save taxpayer money and help the agency recruit and retain top staff, but the move will only serve to isolate the agency from key colleagues and resources concentrated in the capital. This will weaken ERS research by making it more difficult for agency economists to consult with other federal research offices, lawmakers, and federal policy groups. More troubling is that relocating ERS to the Office of the Secretary could compromise and politicize federal research responsible for nonpartisan food and agricultural economic analysis; an issue the office’s current placement was designed to prevent. The August announcement noted that new locations have yet to be determined, and that ERS and NIFA may be co-located when their new homes are found. ERS and NIFA account for just over half of the $2.5 billion Congress budgeted for agricultural research in 2018. ERS employs 300 people in the D.C. region, according to USDA. NIFA, which funds competitive research grants at U.S. universities, employs a D.C. staff of roughly 400. ERS research covers a range of issues, studying trends and emerging issues in agriculture, food, the environment, and rural America from crop yields and food prices to farm conservation practices, rural employment, and nutrition assistance. Key reports serve those who make or influence public policy decisions around farm and food, and include Congress, other federal agencies, and state and local governments. For instance, recent ERS findings have concluded that trade liberalization benefits U.S. farmers, despite the Trump administration contrary stance. NIFA was established by the 2008 Farm Bill with a mission of finding innovative solutions to issues related to agriculture, the environment, and communities. Its goals include global food security, mitigating impacts of climate change, increasing agricultural production while protecting natural resources, and combating childhood obesity by ensuring the availability of affordable, nutritious, and safe food. Tell your U.S. Representative and Senators to urge Agriculture Secretary Perdue to keep the research programs of USDA in place, and stop the cuts and reorganization. Does your community spray toxic pesticides for mosquitoes? In a well-intentioned but ill-informed attempt to prevent mosquito-borne illness such as West Nile virus, many communities spray insecticides (adulticides) designed to kill flying mosquitoes. If your community is one of these, then your public officials need to know that there is a better, more-effective, way to prevent mosquito breeding. The problem with mosquito pesticides. Two classes of insecticides are favored by mosquito spray programs –organophosphates and synthetic pyrethroids. In order to better target flying mosquitoes, adulticides are generally applied as ultra-low-volume (ULV) formulations that will float in the air longer than usual. Organophosphates, which include malathion (Fyfanon), naled (Dibrom), and chlorpyrifos (Mosquitomist), are highly toxic pesticides that affect the central nervous, cardiovascular, and respiratory systems. Symptoms of poisoning in humans include: numbness, tingling sensations, headache, dizziness, tremors, nausea, abdominal cramps, sweating, incoordination, blurred vision, difficulty breathing, slow heartbeat, loss of consciousness, incontinence, convulsions, and death. Some organophosphates have been linked to birth defects and cancer. Breakdown times range from a few days to several months, depending on conditions. Tell your public officials to stop spraying pesticides and adopt a mosquito management plan that protects public health and the environment. Synthetic pyrethroids, which include resmethrin (Scourge), sumithrin (Anvil), and permethrin are adulticides patterned after pyrethrum (an insecticide derived from chrysanthemum plants), that have been chemically engineered to have greater toxicity and longer breakdown times. Almost all synthetic pyrethroid mosquito products use synergists like piperonyl butoxide (PBO), which increases potency and compromises the body's ability to detoxify the pesticide. PBO causes a range of short- and long-term effects, including cancer and adverse impacts on liver function and the nervous system.Symptoms of synthetic pyrethroid poisoning include: dermatitis and asthma-like reactions, eye and skin irritation, and flu-like symptoms. Synthetic pyrethroids are endocrine disruptors and have been linked to breast and prostate cancer. People with asthma and pollen allergies should be especially cautious. Exposure has resulted in deaths from respiratory failure. Breakdown times range from a few hours to several months. Mosquito spraying also hurts the environment. Naled, an organophosphate commonly used for mosquito control, affects a variety of non-target animals, including fish, insects, aquatic invertebrates, and honey bees. Naled is moderately acutely toxic to mammals, moderately to very highly toxic to freshwater fish and birds, highly toxic to honey bees, and very highly toxic to freshwater aquatic invertebrates, and estuarine fish and invertebrates. Elevated mortality rates among honey bees have been documented after nighttime aerial ULV applications of naled. Average yield of honey per hive is significantly lower in exposed hives. Synthetic pyrethroids are highly toxic to fish and honey bees, even in low doses. Beneficial insects, including mosquito predators like dragonflies, will be killed by synthetic pyrethroids and organophosphates. In addition to the dangers, adulticiding is usually the least effective mosquito control method. • Clean up standing water on residential property. • Get rid of unnecessary debris, such as old tires, on residential and commercial property. • At least twice a week, empty water from toys, buckets, birdbaths, swimming pool covers, and any other areas where water can collect. • Drill holes in swing tires, and in the bottoms of recycling bins and other outside containers. • Clean out rain gutters and make sure they drain properly. • Turn garbage can covers right side up. • Utilize safe repellents and other methods to protect against mosquito bites. • Establish community-wide public awareness campaigns. Local public policy is key to long-term solutions. Outbreaks of disease-carrying mosquitoes often result from habitat disturbance, such as deforestation, impairing wetlands, and spraying insecticides. Restoring the health of ecosystems helps keep mosquitoes under control. Native minnows, for example, can provide effective control of mosquito larvae breeding in standing water. The negotiations on the Farm Bill between the U.S. House of Representatives and the Senate begin on September 5. It is critical that we stop a Republican provision that prohibits local governments from restricting pesticides. Ask your elected officials to speak out against this assault on the democratic process. We must stop the adoption of a law that will prohibit local communities from restricting pesticides. Request that Senator Debbie Stabenow, Ranking Minority Member of the Senate Agriculture, Nutrition, and Forestry Committee, lead the effort to protect a basic principle of local democratic decision making, especially in light of inadequate federal environmental and health protections. As Democratic leadership, Sen. Stabenow can stop this provision, which was unanimously rejected by Democrats in the House and is not in the Senate Farm Bill. Tell your Democratic Senators that Sen. Debbie Stabenow must stand up for democracy, public health, and environmental protection in the Farm Bill! If your Democratic U.S. Representative is not on the letter from 105 members to the Farm Bill conference committee (click here to see letter), please reach out and tell them that you want them to sign-on the letter or write their own letter opposing preemption. Click here to find your Representative and then click on the envelope under his/her picture to send the following message: Please sign on to Rep. Donald McEachin’s letter to the Farm Bill conference committee, urging that Sec. 9101 in the GOP Farm Bill be rejected and the right of local governments to protect children’s and environmental health be preserved. We must stop the adoption of a law that will prevent local communities from restricting pesticides. Request that Minority Leader Rep. Nancy Pelosi lead the effort to protect a basic principle of local democratic decision making, especially in light of inadequate federal environmental and health protections. As a member of the Farm Bill Conference Committee between the U.S. House of Representatives and the U.S. Senate, Rep. Pelosi can stop this provision, which was unanimously rejected by Democrats in the House and is not in the Senate Farm Bill. >> Tell Nancy Pelosi to stand up for democracy, public health, and environmental protection in the Farm Bill! In June, the U.S. House of Representatives passed H.R.2 (the Farm Bill) with a provision that prohibits local governments from restricting pesticide use on private property within their jurisdictions. Existing local laws in two states, Maine and Maryland, will be overturned with final passage of this law. In those 43 states that forbid local pesticide laws by state law, future reconsideration of such state prohibitions would be foreclosed —a squelching of local authority pushed by the chemical and pest management industries. The fight to defend the authority of local governments to protect people and the environment has been ongoing for decades, reaching the U.S. Supreme Court in 1991. In response to the Supreme Court decision in Wisconsin Pub. Intervenor v. Mortier, which found in favor of localities’ authority, the pesticide lobby immediately formed the “Coalition for Sensible Pesticide Policy,” and developed boilerplate legislative language to restrict local municipalities from passing ordinances on the use of pesticides on private property. The coalition’s lobbyists descended on states across the country, seeking, and in most cases obtaining, pre-emption legislation whose text was often identical to the coalition’s. Since the passage of those state laws, there have been numerous efforts to pre-empt local authority in states that do not prohibit local action on pesticides. The American Legislative Exchange Council (ALEC), an industry-backed group, appeared to be behind a failed effort during the last two years to pre-empt local authority in the Maine state legislature. Provide state pesticide regulatory agencies a secret chance to slow or effectively veto EPA pesticide protections before they are proposed. The Court of Justice of the European Union has highlighted the fact that failing to classify mutagenesis (purposeful changes in DNA) as genetic engineering is a backdoor way of allowing GMOs (genetically modified organisms) without labeling them as such. The court issued an opinion on July 25, saying, “Organisms obtained by mutagenesis are GMOs [genetically engineered organisms] and are, in principle, subject to the obligations laid down by the GMO directive.” Although the opinion does not apply to techniques that “have been conventionally used in a number of applications and have a long safety record,” the court says that member states may subject even those organisms to the obligations of the GMO or other directives. The court finds that the risks of new mutagenesis techniques, may yield results –and risks— similar to those of transgenesis (introducing genes from other organisms), and should thus be regulated as genetically engineered organisms. Tell USDA to classify mutagenesis techniques as GMO. This issue is one on which the Agricultural Marketing Service (AMS) of the U.S. Department of Agriculture requested comment during an informal comment period that ended July 17. Given the importance of the EU Court finding for consumer transparency and international trade, AMS must consider the ruling in defining “bioengineering” (genetic modification) for the purposes of labeling GMO food produced in the U.S. It must also consider it in developing regulations and policies governing the National Organic Program. Donald Trump’s nominee for Supreme Court Justice, Brett Kavanaugh, would be disastrous for workers, public health, and our environment. Judge Kavanaugh's record shows he consistently puts the interests of big business and polluters over public health and the environment. As a circuit court judge, Kavanaugh gutted requirements for endangered species recovery and overturned efforts to protect critical habitat. He has opposed workers’ rights. He has consistently tried to undermine EPA safeguards to protect clean air and our climate. His decisions wrongfully delayed rules to protect the air we breathe — rules that the EPA estimated would prevent thousands of premature deaths. The Center for Biological Diversity says, “It's not an exaggeration to state that Kavanaugh's judicial philosophy will kill Americans and cause wildlife extinctions.” In short, if Kavanaugh is confirmed, special interests will be in the driver's seat as the court strips away 40 years of environmental progress. Tell your Senators to vote NO on Kavanaugh's confirmation. In place of open debate, Congressional Republicans have once again used riders in three must-pass funding and authorization bills to remove protection from endangered species. It adds up to a huge attack on an immensely popular law. From wolves and grizzly bears to monarchs and burying beetles, everyone is at risk. Wolves could lose protection nationwide. Toxic pesticides could be exempt from environmental review. Threatened wildlife could be forced to wait for lifesaving protection while industry gets the green light to destroy our public lands. And that’s just a glimpse of what Congress is trying to get away with. National Defense Authorization Act: The act contains provisions that would undermine the Endangered Species Act. They include two provisions that would wrongfully prohibit the U.S. Fish and Wildlife Service from listing the greater sage grouse and lesser prairie chicken for at least 10 years; one that would prematurely remove protection for American burying beetles; and language targeting vulnerable whales, dolphins, and sea turtles, and robbing them of safeguards under the Marine Mammal Protection Act. 2018 Farm Bill: Two versions of the bill must be reconciled in conference committee, but under consideration are provisions that attack some of our nation's most iconic species, threaten to pollute our waters, and jeopardize our public lands. If enacted into law, critical safeguards protecting our drinking water and wildlife will be dismantled, as requested by the pesticide lobby. Fiscal Year 2019 Interior and EPA Appropriations Bill: This bill contains a rider that would prematurely remove protection for gray wolves, both in the Great Lakes region and nationwide. This rider also blocks judicial review, impeding every citizen's right to hold our government accountable when it acts unlawfully. The best way to get a species off the endangered list is to fully fund the implementation of the Endangered Species Act, and allow it to do its job of recovering species. The bill also attacks wildlife refuges, prohibiting the funding of any refuge that limits planting of genetically modified crops. Use of GMOs in our refuges reduces biodiversity and harms native plants and animals. Tell your U.S. Senators to oppose these attacks on the Endangered Species Act. Whole Foods Quietly Put Its Comprehensive GMO Labeling Policy on Hold. As USDA’s proposal to use smiley face labels for genetically engineered (GE) foods or genetically engineered organisms (GMOs) nears implementation, it is more essential than ever that retailers step up to identify genetically engineered foods in their stores. Whole Foods Quietly Put Its Comprehensive GMO Labeling Policy on Hold. As USDA’s proposal to use smiley face labels for genetically engineered (GE) foods or genetically engineered organisms (GMOs) nears implementation, it is more essential than ever that retailers step up to identify genetically engineered foods in their stores. Five years ago, Whole Foods Market announced a plan to label food with GE ingredients sold in its stores. Whole Foods’ plan requires a label for all GE food sold in its stores by the end of 2018, noting that the move was made in response to customers’ increased demand for labeled products. “Some of our manufacturers say they’ve seen a 15 percent increase in sales of products they have labeled [as non–GMO],” explains A.C. Gallo, Whole Foods president and chief operating officer. The chain’s labeling requirements include all of its North American stores, as its European supermarkets already require this label. Consumers Reports found that 92% of people surveyed (2014) want their food labeled for ingredients that are genetically engineered. In an email to suppliers on May 18, 2018, Whole Foods’ Mr. Gallo announced that the company, which has recently been acquired by Amazon, would pause its GE labeling requirements in response to suppliers’ concerns about having to comply with two competing sets of rules –Whole Foods’ own labeling requirements and rules newly proposed by the U.S. Department of Agriculture (USDA), which were then open for public comment. As currently written, Whole Foods’ requirements would be more stringent than the proposed USDA rules in at least two significant ways. First, USDA has suggested letting companies label GE ingredients by QR code, meaning that customers would need to be directed to a website via smartphone to find out what’s in their food, while Whole Foods never planned to allow QR codes as disclosures. Second, USDA rules contain exemptions for meat products, which are regulated under a different system. It allows information to be conveyed by QR codes, whose use requires a cell phone (with camera function) and a reliable broadband connection. It does not cover highly processed GE foods, like vegetable oils or sugar, and does not include newer genetic engineering techniques, such as CRISPR (a gene editing tool). Given the problems with the USDA proposed rule, including delay in implementation until 2022, it is important for Whole Foods to get back on schedule. Other retailers will certainly follow its lead. Tell Whole Foods and owner Amazon to Get Back on Track in Labeling GMOs. Yet another bill has been introduced in Congress to remove accountability from Monsanto/Bayer for its glyphosate herbicide Roundup.™ The so-called “Accurate Labels Act” (S.3019/H.R.6022) would repeal most, if not all, existing labeling and information disclosure laws adopted by state or local governments, including California’s Safe Drinking Water and Toxic Enforcement Act (Prop 65), which has been responsible for the removal of hundreds of dangerous toxic chemicals, including lead, cadmium, and mercury, from commercial and consumer products nationwide. California listed Roundup as a probable carcinogen in 2015, requiring a label warning in the state, and California’s Fifth District Court of Appeal upheld the decision in April of this year, rejecting Monsanto’s challenge to the listing. California will not only move ahead with warning labels on products that contain glyphosate, but also, prohibit discharge of the pesticide into public waterways. Proposition 65 requires notification, primarily through labeling, of all chemicals known to cause cancer, birth defects, or other reproductive harm, and prohibits their discharge into the state’s drinking waters. As with previous sneak attacks, Monsanto’s fingerprints — if not its name – are all over this bill. Other legislation that would help remove Monsanto/Bayer accountability for glyphosate is contained in appropriations for the Agency for Toxic Substances and Disease Registry (ATSDR) and the Farm Bill. The House appropriations bill for ATSDR includes “report language” that would restrict independent evaluation of pesticide hazards by ATSDR. Monsanto pushed to stop ATSDR from researching the cancer-causing properties of its glyphosate-based herbicide, Roundup. In April, the U.S. House Committee on Agriculture moved H.R.2 (the Farm Bill) out of committee with a provision that prohibits local governments from restricting pesticide use on private property within their jurisdictions. The full House passed the bill in June. Existing local laws in two states, Maine and Maryland, will be overturned with final passage of this law. In those 43 states that forbid local pesticide laws by state law, future reconsideration of this state prohibition — a squelching of local authority pushed by the chemical and pest management industry — will be foreclosed. Tell your U.S. Senators and Representative to oppose S.3019/H.R.6022. The Center for Biological Diversity (CBD) is urging the U.S. Fish and Wildlife Service (FWS) to take action to protect 23 wildlife species in the Southeast that are at risk of extinction. Citing deep concerns about unprecedented assaults on the Endangered Species Act (ESA), CBD’s letter reiterates the critical need for FWS to provide timely protection to the most critically imperiled species. CBD’s letter highlights the plight of 23 freshwater animals and plants, including the Southern snaketail and the sunfacing coneflower, and the failure of FWS to meet its deadlines for issuing proposals on species whose status has been determined as “may warrant protection.” CBD urges FWS to follow the law –to review and publish species protection proposals. A declining budget and opposition from the Trump administration are stalling these critical protections. This administration has proposed slashing the budget for endangered species listings by half, from $20.5 to $10.9 million, and prioritizing the delisting of species rather than granting protection to new ones. These budget cuts are being proposed despite FWS’s backlog of hundreds of species found to warrant consideration for protection. Since 2000, several southeastern species have been identified as extinct, including the beaverpond marstonia snail; Tatum Cave beetle; Florida zestos skipper and rockland grass skipper butterflies; green blossom, yellow blossom, tubercled blossom, and turgid blossom pearly mussels; Florida fairy shrimp; and South Florida rainbow snake. Many of the species CBD petitioned for are still awaiting reviews, while others were withdrawn from the petition. Attacks on ESA have been a regular occurrence since the inauguration of the U.S. Congress on January 3, 2017. This Congress already has seen at least 63 legislative attacks seeking to strip federal protections from specific species or undercutting the Endangered Species Act. Among the attacks is a provision in the House version of the 2018 Farm Bill to exempt the use of pesticides from ESA review, threatening hundreds of endangered species, and making it legal to kill any endangered species with a pesticide at almost any time. With species decline increasing across the globe, it is critical that we protect those species already at heightened risk. An important provision of ESA is the requirement that each federal agency that proposes to authorize, fund, or carry out an action that may affect a listed species or its critical habitat must consult with the U.S. Fish and Wildlife Service and National Marine Fisheries Service. Although many species –including the bald eagle, Florida manatee, and California condor— have been protected and brought back from the brink of extinction under the ESA, an estimated 500 species have disappeared in the past 200 years. Urge FWS to provide Endangered Species Act protection for 23 species in the Southeast. Urge your U.S. Senators and Representative to support the ESA’s scientific review process and protect endangered and threatened species and their habitats. The U.S. House of Representatives is considering an appropriations bill that includes “report language” that would restrict independent evaluation of pesticide hazards by the Agency for Toxic Substances and Disease Registry (ATSDR), part of the Centers for Disease Control and Prevention. The report language, as part of the U.S. House of Representatives Department of the Interior, Environment, and Related Agencies FY2019 Appropriations Bill, directs ATSDR to “focus on its core mission of assessing hazardous exposures and working with communities, if requested, near toxic waste sites and not agricultural operations” [emphasis added]. As some may recall from “The Monsanto Papers,” Monsanto pushed to stop ATSDR from researching the cancer-causing properties of its herbicide Roundup/glyphosate. [Unsealed internal Monsanto documents from a federal lawsuit, dubbed “The Monsanto Papers,” showed evidence of questionable research practices by the company, inappropriate ties to a top EPA official, and possible “ghostwriting” of purportedly “independent” research studies.] There is also a significant cut to the budget. The Senate Appropriations Committee does not include the same restrictive language. The Agency for Toxic Substances and Disease Registry (ATSDR) is a federal public health agency of the U.S. Department of Health and Human Services charged with protecting communities from harmful health effects related to exposure to natural and human-made hazardous substances. ATSDR’s unique focus is on the impact of hazardous substances on human health –attempting to ensure that Americans have a safe and healthy environment in which to work, play, and live. The agency also responds to environmental health emergencies; investigates emerging environmental health threats; conducts research on the health impacts of hazardous waste sites; and builds the capabilities of, and provides actionable guidance to, state and local health partners. It is the only federal agency that works directly with concerned citizens and communities to address environmental hazards. In its examination of hazardous chemicals in the environment, ATSDR has developed toxicological profiles for many pesticides, including chlorpyrifos, but not yet Monsanto's glyphosate. The toxicological profiles examine in detail hazards of, and routes of exposure to, the chemicals. Because the profiles contain results based on real world exposures, they are generally held in higher regard than risk assessments produced by the U.S. Environmental Protection Agency (EPA). It is important to maintain the ability of ATSDR to continue to examine agricultural hazards. Tell your U.S. Senators and Representative to reject language, attached to the House appropriations bill, that prohibits independent evaluation of agricultural chemical hazards by the government’s research agency (ATSDR). Mosquito misters pose a threat to human health. They also harm bees and other flying pollinators and are the least effective way to deal with biting mosquitoes. These devices are typically placed outdoors and spray insecticides –mostly in an attempt to control mosquitoes. In May, the Connecticut state legislature voted to ban the use of residential pesticide misting systems. While pesticides are regulated by the U.S. Environmental Protection Agency (EPA), pesticide misters and other application devices are not subject to EPA oversight, leaving states with the authority to control their use. Connecticut appears to be the first state to restrict pesticide misting machines through legislation. The state of New York took an administrative approach to regulating these devices, as the commissioner of the state’s Department of Environmental Conservation used his authority to deem pesticides used in misting systems as restricted use (only available to certified applicators). Staying mosquito-free in one’s backyard requires both individual and community efforts. For the individual, during mosquito season use least-toxic repellents like oil of lemon eucalyptus. If possible, wear loose, light colored long-sleeved clothing. If you want to spend protected periods outside sipping lemonade during a hot summer evening, sit next to an oscillating fan, as mosquitoes are not great fliers. For more protection, sit inside a screened deck, or pop-up tent. At the community level, you can achieve neighborhood-level reductions in mosquitoes by joining with your neighbors in regularly dumping out standing water and encouraging flying and swimming predators. Larvaciding sites that cannot be drained is more effective than spraying adults, but still disrupts ecological forces that maintain balance. Most common mosquitoes don’t fly too far from where they hatched, and often one location in a community, such as stagnant water in a neighbor’s old pool, can be a major source for mosquito breeding throughout the neighborhood. Use Beyond Pesticides’ mosquito doorknob hangers to get the word out. Contact the office for 25 free hangers, or purchase more at Beyond Pesticides’ Storefront. If you are concerned about broader aerial or truck-mounted spraying campaigns by governments or vector control districts, also reach out to Beyond Pesticides at [email protected] or 202-543-5450 for organizing strategies to stop toxic mosquito spray in your community. In 2015, Public Employees for Environmental Responsibility (PEER) filed a complaint with the Federal Trade Commission, detailing false and deceptive claims by manufacturers of pesticide misters. Specifically, PEER noted that manufacturers claim that these misters (1) are effective in controlling mosquitoes despite contention from experts and even the American Mosquito Control Association that they are not effective, (2) have the ability to kill ticks, of which there is no evidence, and (3) are “safe” and “natural,” despite their use of highly toxic pesticides. Absent federal action, the responsibility to regulate these dangerous devices falls to the states. Urge your Governor and state legislators to ban pesticide misters. With a flawed bipartisan Farm Bill expected to sail through the U.S. Senate this week, we need to turn our attention to the upcoming House-Senate Conference Committee that will attempt to resolve differences between the Republican House bill (with no support from Democrats) and the Senate bill. Despite some advances in the Senate Farm Bill for the organic market, including boosts to organic research funding, some provisions to address fraudulent imports, some enhanced conservation programs, and maintaining certification cost-share programs, the Senate bill contains troubling language affecting organic standard setting that could open the door to more damaging provisions in the House bill. It’s like fixing up a house while allowing the foundation to crumble. Beyond Pesticides opposes any provisions in the Farm Bill that amend the standard setting procedures of the federal organic law and believes that no improvements are worth the damage that can be done to the standard setting process and public trust in the organic seal in the marketplace. Beyond Pesticides is urging the conferees on the House-Senate Farm Bill conference committee over the next weeks to eliminate amendments that change any aspect of organic standard setting under the Organic Foods Production Act (OPFA). The Farm Bill passed by the U.S. House of Representatives, H.R. 2, is a direct attack on: organic standard setting; the authority of local governments to restrict toxic pesticides; and, the protection of farmworkers, endangered species, and the environment. Now, the Senate is getting ready to pass a bill that opens the door to an attack on organic. While the Senate train is speeding down the track, it is important to keep these damaging provisions out of the final (conference) bill. Protect Organic Standards. The Organic Foods Production Act (OFPA) gives the National Organic Standards Board (NOSB) broad authority and responsibility to ensure organic integrity. The House version of the Farm Bill contains provisions that will give USDA greater direct and indirect power to allow products and practices that were not intended to be a allowed in organic – hydroponics, poultry houses without real access to the outdoors, and dairy operations without meaningful pasture. The Senate bill opens up the dangerous possibility of a change to the organic standard setting process. There should be no changes to the process that establishes organic standards in order to protect the meaning and value of organic in the marketplace. Force consideration of allowing the use of products in organic that are subject to weaker standards of the Food and Drug Administration (FDA) and the Environmental Protection Agency (EPA). Give states authority to delay pesticide restrictions. Tell your U.S. Senators and Representative to protect organic in the Farm Bill, remove any changes to the organic standard setting process, and uphold environmental protections. At the start of National Pollinator Week, Beyond Pesticides today released its new video, Seeds that Poison –to broaden public understanding of the devastating adverse effects of pesticides on the health of pollinators (bees, birds, butterflies, and other organisms), and the solution in the organic management of agriculture, parks, playing fields, gardens, and lawns. Hazardous pesticides tied to the decline of honey bees and native bees are not permitted in certified organic food production and numerous policies adopted by local governments across the U.S. Pesticides have been identified in the independent scientific literature as a major contributing factor. Pesticides in the neonicotinoid (neonic) chemical class have been singled out as major suspects due to their widespread use as seed coatings, high toxicity to bees, “systemic” nature –neonic chemicals move through the plant’s vascular system and are expressed in pollen, nectar, and guttation droplets– and persistence. Neonicotinoids are highly toxic to honey bees and, while the U.S. Environmental Protection Agency (EPA) acknowledges this fact, little is being done at the federal level to protect bees and other pollinators from these pesticides. USDA is accepting comments through Regulations.gov. We have suggest comments and and instructions at the link below. The Farm Bill is beginning to move in the U.S. Senate Committee on Agriculture, Nutrition, and Forestry, and your voice is critically needed to help stop provisions that are harmful to health and the environment. The Farm Bill in the U.S. House of Representatives, H.R. 2, reported favorably out of the House Agriculture Committee, is stalled, after being defeated on the floor over unrelated immigration legislation. The House bill is a direct attack on organic standard setting, the authority of local governments to restrict toxic pesticides, and the protection of farmworkers, endangered species, and the environment. Without public outcry, it is likely that the bill produced by the Senate Agriculture Committee will be at least as bad as the House bill. >> Tell your U.S. Representative and Senators that they should vote against the Farm Bill unless harmful provisions to health and the environment are removed. The nation’s 562 national wildlife refuges play a critical role in protecting fish, plants, and other wildlife. They include forests, wetlands, and waterways vital to thousands of species of plants and animals, including 280 that are protected under the Endangered Species Act. However, private chemical-intensive commercial farming of crops like corn, soybeans, and sorghum has become common on refuge lands, with the increasing use of highly toxic pesticides that threaten the long-term health of sensitive habitats and the creatures who depend on them. The Center for Biological Diversity (CBD) estimates that 490,000 pounds of pesticides were applied to commodity crops like corn, soybeans, and sorghum grown in national wildlife refuges in 2016, the most recent year for which data are available. The nearly half million pounds of pesticides used on wildlife refuges in 2016 include 2,4-D, dicamba, and paraquat, all of which are toxic to fish, amphibians, crustaceans, and other animals. Also included are 116,200 pounds of glyphosate, the herbicide that has caused widespread decreases in milkweed plants, helping to trigger the 80 percent population decline of monarch butterflies over the past two decades. Refuges exist for the protection of wildlife, and activities there should not jeopardize their health. FWS should require that organic practices be used in any farming on refuges. Tell FWS to take toxic pesticides out of wildlife refuges. 05/14/2018 — Tell EPA to adopt a real transparency plan for pesticides! Under EPA Administrator Pruitt’s proposed “transparency” plan, the public will still lack access to key data about the effects and efficacy of commercial poisons approved for sale and application in their communities and homes. The proposed policy, posted on April 30 in the Federal Register, declares that it will “help ensure that EPA is pursuing its mission of public health and the environment in a manner that the public can trust and understand,” yet it applies only to a very limited set of studies used to support certain EPA regulations. The pesticide registration and review processes are particularly lacking in transparency, opportunity for public review, and access to data. Because pesticides are toxic chemicals broadcast into the environment, nowhere is transparency more important than in pesticide registration. The federal government needs a vision for pesticide policy across relevant agencies that seeks to replace outdated approaches and technologies, reliant on toxic chemicals, with green approaches advanced through incentives, assistance and restrictions. This cannot be achieved without full transparency and disclosure of toxic hazards of pesticide products in the marketplace. Without full information on pesticide hazards, access to underlying data on hazards, and a transparent assessment of the reasonableness of risk (given the availability of less or non-toxic alternatives), the public is left in the dark. Credible reviews, subject to public oversight, are essential in EPA’s regulation of pesticides to prevent contamination of air, land, water, and food. Tell EPA to adopt a real transparency plan for pesticides! 05/07/2018 — Help Finalize Decision to Keep Imidacloprid Out of National Treasure, Willapa Bay; Previous Public Comments Led to Temporary Denial of Use. The Washington State Department of Ecology (Ecology) temporarily denied a permit to spray Willapa Bay and Grays Harbor with the toxic neonicotinoid insecticide imidacloprid. Your comments helped achieve the temporary decision and comments are now needed again to make the denial permanent. The public comment period closes on May 14, 2018. Willapa Bay and Grays Harbor, with a number of unique ecosystems, and among the most pristine estuaries in the U.S., have been targeted with a plan to spray the toxic neonicotinoid insecticide imidacloprid to kill the native burrowing shrimp in beds of commercial Japanese oysters. This insecticide use will have deadly effects on keystone aquatic organisms. Based on a Supplemental Environmental Impact Statement (SEIS) and public input, Ecology temporarily denied the permit. Willapa Bay and Grays Harbor have been affected over the past century by human activity that has contributed to problems experienced by all who use the bays. The best alternative to address these problems is one that was not considered in the SEIS –restoring the habitat by removing stressors coming into the bays from streams flowing into them. Tell the Washington State Department of Ecology to restore the bays instead of spraying them with neonicotinoinds! Organic standards are under attack in the Farm Bill, H.R. 2, passed by the Agriculture Committee in the U.S. House of Representatives and in language emerging in the Senate Agriculture Committee. This adds to the attacks on which we have previously taken action. Force consideration of the judgment of the Food and Drug Administration (FDA) and Environmental Protection Agency (EPA) when those agencies find a material to meet their own (less stringent) criteria for use. These provisions are a direct attack on the strength of organic standards. When OFPA was passed and placed under USDA authority, Congress established a board composed of members of the organic community –farmers, handlers/processors, retailers, environmentalists, public interest groups, scientists, and certifiers— to provide direction to USDA and maintain the integrity of the organic label. Organic production arose out of a concern about hazardous chemical-intensive practices and unprotective laws and regulations; hence, OFPA and standards recommended by the NOSB and adopted by USDA for organic production are more stringent than standards adopted by FDA and EPA. Now that organic production has become a nearly 50 billion dollar enterprise, politicians are under pressure from large producers that would like to get a share of the organic premium without meeting current standards. We must stop this attack and protect organic as a real choice for health and environmental protections. Tell Congress to Vote Against the Farm Bill if It Weakens Organic Standards. The U.S. Environmental Protection Agency (EPA) is accepting comments on its human health and environmental risk assessments of glyphosate (sold as Roundup™, Rodeo™, and many other products) until April 30. Evidence is mounting that glyphosate products cause cancer and many other human health and environmental problems.The U.S. Environmental Protection Agency (EPA) is accepting comments on its human health and environmental risk assessments of glyphosate (sold as Roundup™, Rodeo™, and many other products) until April 30. Evidence is mounting that glyphosate products cause cancer and many other human health and environmental problems. Despite the prevalent myth that this widely used herbicide is harmless, glyphosate is associated with a wide range of illnesses, including non-Hodgkin’s lymphoma, genetic damage, liver and kidney damage, and endocrine disruption, as well as environmental damage, including water contamination and harm to amphibians. Researchers have also determined that the “inert” ingredients in glyphosate products, especially polyethoxylated tallow amine or POEA –a surfactant commonly used in glyphosate and other herbicidal products— are even more toxic than glyphosate itself. Monsanto, manufacturer of glyphosate, formulates many products (such as Roundup™ and Rodeo™) and markets formulations exclusively used on genetically engineered (GE) crops. Glyphosate is one of the most widely used herbicides in the world, due in large part to the increased cultivation of GE crops that are tolerant of the herbicide. In addition to the other priorities in our previous alert (preventing fraud in organic, removing incentives to convert native ecosystems to organic crop production, and the use of bisphenol A [BPA] and other chemicals in organic packaging), we focus attention here on some genetic engineering (GE) issues, contaminated inputs, and “inert” ingredients. New to Regulations.gov? See our two-minute tutorial. Beyond Pesticides provides you with our positions, which you can use as the basis for your comments. If you have limited time, you can use the sample comments on priority issues, below. If you have more time, please use the information on our website to develop your own comments. If you paste our comments into regulations.gov, please first put a personal note of concern in order to reflect the importance of these issues to you as an organic consumer, farmer, or other concerned party. The issue of protecting the genetic integrity of seed grown on organic land is related to two others that are not on the agenda –strengthening and clarifying the requirements for the use of organic seed, and excluded methods terminology. Addressing these two issues adequately would help to ensure that the presence of plants growing from GE seeds is greatly reduced on organic farms. The issue of protecting the genetic integrity of seed grown on organic land is concerned with those instances when organic producers plant nonorganic seed, so any efforts to strengthen the requirements for organic seed would tend to eliminate the problem. Strengthening and clarifying the requirements for the use of organic seed should remain on the agenda to eliminate inconsistencies in the enforcement of the National Organic Program's (NOP’s) broad exemption that allows the use of conventionally produced seed in certified organic. A rule change to the seed practice standard is needed to require a demonstrable improvement over time until 100% organic seed use is achieved. Excluded methods terminology should be maintained on the NOSB agenda to keep up with a fast-moving biotechnology industry. Organic regulations prohibit the use of genetic engineering, but the NOP needs to define terms in order to ensure that those regulations are enforceable. Efforts to quantify the extent of GE contamination and provide transparency in GE content of non-organic seeds should not further burden organic growers. It is important for the NOSB to maintain a focus on the problem of contaminated inputs, which threatens the quality of organic products and soil on organic farms. However, the NOSB last addressed the issue in a report in Spring 2015. The report offered an approach for addressing this complex issue through examining feedstocks and pathways. We support the approach in that report. In the intervening three years, the NOSB has not made progress, but another source of contamination has risen in importance — use of water contaminated by oil and gas production. If “organic” is to maintain its meaning, we must prevent the unintended contamination that can occur when organic matter is recycled from off-farm sources, or when outside forces contaminate water supplies. “Inert” ingredients frequently comprise as much as 99% of pesticide products. So-called “inert” ingredients are not "inert", and are not disclosed to users or others who may be exposed. Given NOSB scrutiny of active ingredients, inert ingredients may be the most hazardous ingredients in pesticide products used in organic production. We urge the NOSB to insist that NOP move forward quickly with implementation of the NOSB recommendations on inert ingredients. Allowing the current lack of movement to persist raises serious compliance issues and threatens the integrity of the USDA organic label. >>Submit your comments at Regulations.gov! 03/26/2018 — Tell your state AG to join the investigation of the Bayer-Monsanto Merger! Tell your state Attorney General (AG) to join the investigation of the merger of Monsanto, the manufacturer of genetically engineered seeds tolerant of its herbicide glyphosate (aka Roundup®), and Bayer, the manufacturer of neonicotinoid insecticides responsible for pollinator declines, including imidacloprid and clothianidin. The giant seed and pesticide company that would be created by this merger would be a disaster for pollinators, people, and the environment. Farmers overwhelmingly think this mega-merger is a bad idea –a new survey and white paper were released that demonstrate widespread opposition of farmers to this merger. According to the poll, which was conducted by a coalition of farm organizations, 93 percent of farmers surveyed oppose it. More than one million Americans have called on the Department of Justice to stop it. Investigations are ongoing in both the EU and the U.S. Your state attorney general could play a key role in this fight by joining the investigation. If this merger goes through, the new company would be the world’s largest vegetable seed company. It would control seeds for many of the crops we eat regularly — including broccoli, carrots, and onions. It would also be the largest manufacturer and seller of herbicides. The merger threatens the development of a sustainable and just food system. It will hurt independent family farmers and rural economies, and will make it even more difficult for farmers to reject the chemical- intensive agricultural system that Bayer and Monsanto promote. Tell your state AG to join the investigation of the Bayer-Monsanto Merger! Organic integrity is under unprecedented attack from the Trump Administration’s Department of Agriculture (USDA), Congress, and those who would like to sell food as “organic” without following the stringent rules established for organic food production and labeling. The National Organic Standards Board (NOSB), established to represent the organic community in advising USDA on organic practices, will be voting on important issues, and your input is critical to that process. The NOSB meets twice yearly to consider issues including materials used in organic production and oversight of the National Organic Program within USDA. Submit your comments at Regulations.gov! Enforcement is a critical component to any standard setting program. Recent reports in the Washington Post have highlighted fraudulent activities by companies selling products as organic. While this activity is certainly deviant, it taints the organic label and, if not dealt with seriously, will become a bigger problem. The NOSB will consider motions at the Spring 2018 meeting that will stop this practice. Your voice is needed to make this happen! Beyond Pesticides provides you with our positions, which you can use as the basis for your comments. Please feel free to develop your own comments or copy and paste ours. If you copy and paste our comments into regulations.gov, please begin your comment with a personal note of concern in order to reflect the importance of these issues to you as an organic consumer, farmer, or other concerned party. We encourage anyone who feels strongly about any of these issues to claim a three-minute speaking slot at the NOSB webinars on April 17 and 19, 2018 or at the NOSB meeting in Tucson, Arizona on April 25. Registration closes April 4. Addressing Fraud in Organic Production: The fraud problem extends to both imported and domestically grown organic food. It is a problem whenever someone portrays as organic a product that does not meet the rigorous organic standards required to use the USDA organic label. Fraud hurts all sectors of the organic community –especially organic producers who follow the letter and spirit of the law and the consumers who depend on the market to provide organic food that meets organic standards. Fraud is a problem when crops that are grown with prohibited inputs, when livestock do not get the required access to pasture, and when organic crops are produced in artificial media. The topic of inspector qualifications and training, listed separately on the NOSB agenda, is an integral part of fraud prevention. Regulations must be clear, so that they can be enforced. USDA’s National Organic Program (NOP) must have a will to enforce, whether the violator is large or small, foreign or domestic. The task facing the NOSB and NOP is to craft a multi-faceted strategy to prevent organic fraud. Packaging Substances, including Bisphenol A (BPA): BPA should be eliminated from organic food packaging. At the same time, since some known alternatives to BPA may also present similar problems, the NOSB should approach the issue of food packaging in a comprehensive way. The NOSB’s Handling Subcommittee should ensure that packaging is a priority issue and request a scientific technical review of BPA and its alternatives, so that it can adopt the strongest most comprehensive packaging standard for organic food. Eliminating Incentives to Convert Native Ecosystems to Organic Cropland: Unfortunately, the legal requirement to avoid the use of prohibited substances for three years before land can be certified organic produces an unintended incentive to convert important native habitat to organic farms. To protect native lands, the NOSB should pass the Certification, Accreditation, and Compliance subcommittee improved proposal. The details on implementing the proposal as part of farmers’ organic system plans should be worked out in cooperation with the Wild Farm Alliance. A comprehensive assessment released last week by the European Food Safety Authority (EFSA) confirmed that neonicotinoids, the most widely used class of insecticides in the world, pose risks to honey bees and wild pollinators. EFSA analyzed over 1,500 studies from academia, beekeeper associations, chemical companies, farmer groups, non-governmental organizations, and national regulators. EFSA’s risk assessment provides a definitive, independent conclusion that overall, continued use of these chemicals risks the long-term health of pollinator populations. “The availability of such a substantial amount of data as well as the guidance has enabled us to produce very detailed conclusions,” said Jose Tarazona, PhD, head of EFSA’s Pesticides Unit in a press release. This is EFSA’s second comprehensive evaluation of the three most commonly used neonicotinoids: imidacloprid, clothianidin, and thiamethoxam. Earlier research finalized in 2013 led the European Union (EU) to ban use of the three neonicotinoids on agricultural flowering crops. The new assessment applies EFSA guidance to assessing risks to bees and on the initial review. It includes literature not only on honey bees, but also on wild pollinators, including bumblebees and solitary bees. EFSA stresses that although some low risks were identified, “In most of the cases where some low risks were identified for a particular use, high risks were also identified for the same use.” Risk assessors looked at three broad routes of exposure: residues from pollen and nectar, dust drift during sowing or application of neonicotinoid-treated seeds, and water consumption. While, for instance, looking at canola production, EFSA determined that chemical residues in nectar and pollen pose a low risk to honey bees, they are at the same time deemed a high risk for bumblebees, and residues via dust drift are likewise considered a high risk to honey bees. Thus, the researchers emphasize that their conclusion of risk is broad and all-encompassing. That aspect is important, because throughout the over 11-year crisis, the major manufacturers of neonicotinoids, Bayer and Syngenta, as well as companies like Monsanto that coat their proprietary seeds in these chemicals, have worked hard to muddle and spin scientific conclusions around neonicotinoids. One study showing low risks to one pollinator does not negate high risks to another species, but the chemical industry seeks to downplay hazards, despite the preponderance of evidence linking bee decline to pesticides. Between now and the European Commission’s upcoming vote, these efforts are likely to increase in the media, as well as behind closed doors. Even if you don’t live in California, chances are that you eat food that is grown there. Unless all that food is organic, some of it was probably sprayed with chlorpyrifos, exposing not only you, but also the farmworkers responsible for its cultivation and harvest. Farmworker families –especially children— who usually live close to the treated fields, suffer higher impacts than those living further away. Five months after the California Department of Pesticide Regulation (DPR) issued its weak and inadequate draft risk assessment for the brain-harming pesticide chlorpyrifos, the state's Scientific Review Panel (SRP) ordered DPR back to the drawing board to produce a much stronger draft that properly considers the risk of harm to the developing brain. In view of EPA’s retraction of its proposal to revoke food residue tolerances of the highly neurotoxic insecticide chlorpyrifos, despite its own assessment that the chemical is too toxic to children, it is especially important that California take action to ban the chemical. California, the home of the largest agriculture industry in the country, used over one million pounds of chlorpyrifos on over a million acres in 2012. EPA’s assessment is also supported by the classification of chlorpyrifos as a developmental toxicant by California’s Office of Environmental Health Hazard Assessment (OEHHA), which oversees the “Prop 65” list. Tell Governor Brown to ban chlorpyrifos now, for the sake of the children. U.S. Representatives Earl Blumenauer (D-OR) and Jim McGovern (D-MA) announced plans to reintroduce the Saving America’s Pollinators Act, (previously H.R. 3040) which suspends the registration of certain neonicotinoid insecticides until the U.S. Environmental Protection Agency conducts a full scientific review that ensures these chemicals do not harm pollinators. Last week, Beyond Pesticides joined Rep. Blumenauer and other experts from environmental, conservation, whistleblower and farmworker health groups on Capitol Hill to urge Congress to take action to protect pollinators in the face of ongoing obstruction by an increasingly industry-influenced EPA. Numerous scientific studies implicate neonicotinoid pesticides as key contributors to the global decline of pollinator populations. EPA’s own scientists have found that neonicotinoids pose far-reaching risks to birds and aquatic invertebrates. For example, they find deadly impacts to birds from neonicotinoid-treated seeds, poisoned insect prey, and contaminated grasses. “EPA’s recent assessment confirms what the science has already shown: that neonicotinoids are highly toxic not just to bees, but to aquatic species and birds. To protect our waterways and pollinators it is imperative that action be taken to ban these chemicals,” said Nichelle Harriott, science and regulatory director at Beyond Pesticides. Tell your Representative to support the Save America’s Pollinators Act! The U.S. Centers for Disease Control and Prevention (CDC) finds that EPA label restrictions on total release foggers, otherwise known as “bug bombs,” are a public health failure. Bug bombs pose a significant risk of acute illness to individuals even when they attempt to follow new label instructions. Beyond Pesticides has long called for bug bombs to be banned, as there are a myriad of non-toxic alternative strategies to successfully manage household pests. Bug bombs are small cans primarily comprised of an insecticide, often a synthetic pyrethroid, a synergist such as piperonyl butoxide (PBO), and an aerosol propellant. In addition to the explosion/fire risk if the aerosol product is used in an unattended home near a pilot light or other spark-producing appliance, both synthetic pyrethroids and PBO pose acute and chronic human health risks. PBO is added to pesticide formulations to increase the toxicity of synthetic pyrethroids, and has been linked to childhood cough. Peer-reviewed research associates synthetic pyrethroids with behavioral disorders, ADHD, and delayed cognitive and motor development, and premature puberty in boys. Not only can bug bombs acutely poison, but once applied these chemicals can persist in the home for over a year, putting individuals and families at risk of chronic exposure and subsequent health issues. CDC’s report, Acute Illnesses and Injuries Related to Total Release Foggers, updates a previous study released in 2008 with new data reveals that EPA’s attempt to reduce bug bomb illness and injury through label changes was unsuccessful. Looking at records from 2007-2015, a total of 3,222 unique cases of illness and injury were reported. The report indicates, “No statistically significant reduction in overall incidence of TRF [total release fogger]-associated injuries and illnesses was observed in the first 3 years after the label revisions took effect.” Incidents ranged from failing to leave an area after releasing the bug bomb, reentering the premises too early, use of too many products for the space provided, and even explosions related to the ignition of aerosols released from the product. Urge your Govenor to ban bug bombs in your state! The most recent findings on the development of Parkinson’s disease after exposure to the highly toxic paraquat add to the well-established body of scientific literature linking the herbicide to Parkinson’s, which should lead to finally eliminating the use of the herbicide in the U.S. The chemical was banned in the European Union in 2007, and many health groups, including Beyond Pesticides and The Michael J. Fox Foundation for Parkinson’s Research, are calling on the U.S. Environmental Protection Agency (EPA) to stop the use of paraquat by denying its upcoming reregistration. In addition to its connection with Parkinson’s disease, paraquat is known to be highly acutely toxic. By generating free radicals, it essentially burns its way through the body, targeting the lungs —causing lung fibrosis— and other organs. Most acutely toxic exposures result in death, sometimes delayed as much as three weeks. Although paraquat is a restricted use pesticide (RUP), EPA is proposing to eliminate the minimum age for applying RUPs, which would permit teenagers to use it. Tell EPA and Congress to ban paraquat! We are all concerned about the workers who grow and harvest our food. A sustainable food system must protect the land and the people who work the land, including the children and families of farmworkers. In two related actions, the Environmental Protection Agency (EPA) is proposing to remove age requirements for application of pesticides. The actions involve changes to the Agricultural Worker Protection Standard (WPS) which went into effect this January and covers farmworkers hired to apply pesticides, and the Certification of Applicators (CA) rule, which will go into effect May 22 and covers those allowed to apply highly toxic restricted use pesticides (RUPs), the most toxic pesticides. The proposals to remove the age requirements present unacceptable risks to teenagers, who “are still developing in critical physical and emotional areas, with particular regard to their brains and reproductive systems,” according to the American Academy of Pediatrics (AAP). The removal of the age requirement is opposed by farmworker and children’s health advocates. Farmworker Justice applauded the rule, including the age requirement, then earlier this year sued EPA to implement the rule. AAP points out that dangers of pesticide exposures to teens include long term damage to nervous and reproductive systems. It also points out that 16-17-year-old workers in other industries are prohibited from working with hazardous chemicals. At a U.S. Senate oversight hearing last week, New Jersey Senator Cory Booker blasted EPA Administrator Scott Pruitt for his lack of concern over environmental justice issues. In particular, Sen. Booker noted the proposal to drop the minimum age requirement for agricultural workers who can use pesticides. Many of these workers, Sen. Booker noted, come from "communities of color, indigenous communities and low income communities." When Sen. Booker asked, "Do you think that children handling dangerous pesticides is a good idea?" Mr. Pruitt responded –as he had to other Senators’ questions—by changing the subject. Tell your Congressional delegation that EPA must not eliminate the minimum age requirement. 01/29/2018 — Protect Scientists. Tell Congress that EPA's staff and budget cuts are false economies! Scientists, public health managers, and others charged with protecting the health of the public and the environment at the U.S. Environmental Protection Agency (EPA) are being encouraged to exit the agency –as EPA Administrator Scott Pruitt plans to meet his goal of cutting agency staff and programs by 50 percent. Tell your Congressional delegation that EPA’s staff and budget cuts are false economy! Aides to Mr. Pruitt confirmed to the Washington Examiner that by the end of President Trump’s first term, the agency’s staff will be cut by nearly half. Administrator Pruitt told the Washington Examiner he was “proud” of his efforts to dismantle –some say cripple— the very agency he leads. This is false economy. It endangers the American public and its air, land, water, and biodiversity. EPA is responsible for enforcing the Safe Drinking Water Act, with a goal of making the nation’s waters fishable and swimmable. EPA enforces the Clean Air Act, which has cleaned up American cities, reducing illness and property damage from smog. And EPA is responsible for overseeing the clean-up of contaminated sites, thus preventing further pollution and illness. The agency also regulates pesticides under the Federal Insecticide, Fungicide, and Rodenticide Act (FIFRA). All of EPA’s programs require the application of science to public policy. Among the people who are being encouraged to retire —via “buyouts” and attractive retirement benefits to incentivize exits— are more than 200 scientists and nearly 100 environmental protection specialists. Tell your Congressional delegation to hold the line on EPA’s budget to protect health, resources, and the economy! The organophosphate pesticides chlorpyrifos, malathion, and diazinon are likely to jeopardize the continued existence of endangered species and adversely modify their critical habitats, according to the newly released report from the National Marine Fisheries Service (NMFS). By law, the Environmental Protection Agency (EPA) must not allow their use. Tell EPA to ban chlorpyrifos, malathion, and diazinon unless it can restrict uses to protect endangered species. Under Section 7 of the Endangered Species Act (ESA), any agency action requires a finding that the action “is not likely to jeopardize the continued existence of any endangered species or threatened species or result in the destruction or adverse modification of habitat.” The December 31, 2017 Biological Opinion from NMFS followed an ecological assessment that relied upon multiple lines of evidence to determine effects on species and their designated habitats. The Biological Opinion finds, “[P]esticides containing chlorpyrifos are likely to jeopardize the continued existence of 38 of the 77 listed species, and adversely modify 37 of the 50 designated critical habitats.” For malathion, 38 of 77 listed species are likely to be jeopardized and 37 of the 50 designated critical habitats adversely modified. Likewise, diazinon likely jeopardizes 25 of 77 listed species and adversely modifies 18 of the 50 designated critical habitats. Species affected include salmon, steelhead, sturgeon, coral, and sea turtles, as well as orcas and seals that depend on salmon as a food source. In spite of findings that neonicotinoid (neonic) insecticides pose both acute and chronic risks to pollinators, aquatic life, and birds, the U.S. Environmental Protection Agency (EPA) is seeking comment that could support their continued use. Comments are due by February 20, 2018. Tell EPA that neonics pose unacceptable risks to pollinators, aquatic life, and birds!Tell your Congressional delegation what you think. Last month, EPA released preliminary ecological (non-pollinator) assessments for the neonicotinoids clothianidin, thiamethoxam, dinotefuran, and the terrestrial ecological assessment for imidacloprid, finding that these pesticides pose both acute and chronic risks to aquatic life and birds. Treated seeds are identified as posing the highest dietary risks to birds, confirming previous research that neonics are highly hazardous not only to bees, but also, to birds, aquatic life, and other non-target organisms. However, EPA’s assessments also cover spray treatments. EPA opened the public comment period for these assessments on December 15, 2017. Along with outlining the risks identified in the assessments, the agency is especially requesting feedback on the benefits of continued use of the neonics on cotton and citrus crops, identified in last year’s pollinator assessments as posing risks to honey bees. In spite of evidence of long-term systemic exposures to non-target organisms, which supports a phase-out of these pesticides, EPA states, “We believe early input from the public will be helpful in developing possible mitigation options that may be needed to address risks to bees.” EPA believes that neonicotinoids are crucial for the management of the Asian citrus psyllid, an invasive pest that causes citrus greening, and of plant bugs and stink bugs in cotton. However, other non-chemical, or biological, management methods have been successfully employed. EPA found that risks to certain birds from eating neonic-treated seeds exceeded the agency’s level of concern by as much as 200-fold. For clothianidin, the agency finds that as few as 1–5 seeds of treated corn will be enough to exceed acute and chronic levels of concern for birds. Specifically, EPA states, “Dietary exposures from clothianidin treated seeds are noted to result in the highest acute and chronic risks from the terrestrial risk assessment to birds and mammals.” Clothianidin, which is widely used as a seed coating on millions of acres of planted corn and soybean crops, is also determined by EPA to be very highly toxic to other taxa, including shrimp and aquatic insects. Reproductive effects are observed in several freshwater and estuarine/marine invertebrates. Developmental effects have occurred in benthic invertebrates (those living at the bottom of water bodies). As a result of risks to pollinators and aquatic organisms, regulators in Canada, the UK, and Europe have adopted or are considering bans on neonics. Research has consistently linked their use to reduced learning in bees, and as a contributing factor to reduced colony size, and reproductive success. U.S. beekeepers lost an unsustainable 33% of their hives between 2016 and 2017. Studies on songbirds find that exposure to widely used insecticides such as neonicotinoids results in failure to orient properly for migration, thus adding weight to arguments that pesticides are a likely cause in the decline of migratory bird populations. Neonics are also detected regularly in the nation’s waterways at concentrations that exceed acute and chronic toxicity values for sensitive organisms. The Beyond Pesticides report Poisoned Waterways documents the persistence of neonicotinoids in U.S. waterbodies and the danger they cause to aquatic organisms, resulting in complex cascading impacts on the aquatic food web. The report also highlights current regulatory failures of EPA aquatic standards, which continue to underestimate risks to sensitive species, due to a reliance on test protocols that do not reflect real-world exposures or susceptibilities. 01/08/2018 — Fight back for organic integrity and animal welfare! Comments are needed by January 17 on plans announced by the Trump Administration to scuttle the final rule on organic animal welfare (the Organic Livestock Poultry Practices rule, or OLPP) that was adopted as a final rule a year ago. U.S. Department of Agriculture (USDA) Secretary Sonny Perdue has repeatedly delayed implementation of the final rule on animal welfare in organic production. The effective date of the final rule published on January 19, 2017, delayed on February 9, 2017, and again on May 10, 2017, is now delayed until May 14, 2018. By setting minimum indoor and outdoor space requirements and defining “outdoors,” the rule would make it more difficult for factory egg and poultry farms to be certified organic. Although many wished it to be stronger, the rule received widespread support. More than 40,000 agriculture groups, farmers, and others urged USDA to finalize the standard; only 28 commenters opposed it. The Organic Trade Association sued USDA in September for failing to finalize the standard. Now, USDA proposes to withdraw the rule altogether. Tell USDA to implement the Organic Livestock Poultry Practices rule now! Then give your message to your U.S. Senators and Representative. The OLPP requires that organic chickens have access to the outdoors, space to move around, sunlight and fresh air, and that animals on farms be protected from unnecessary and potentially harmful procedures, such as tail docking of cows and unrestricted beak trimming on birds. The majority of organic livestock farmers already comply with these rules. USDA’s inexcusable rollback of organic standards is the biggest attack on organic since it tried to allow GMOs in the original standard nearly 20 years ago. Tell USDA to implement the Organic Livestock Poultry Practices rule now!